Top 10 Reasons to Visit Phu Quoc (& When)! If you are travelling in the south of Vietnam and have no clue about where to go apart from Saigon and the Mekong Delta, here are 10 reasons you should check Phu Quoc out. Moreover, I also cover some travel tips about this area for you. Phu Quoc is the largest island in Vietnam, located in the Gulf of Thailand. This island is known as the precious stone of Vietnam tourism because of the endless blue ocean, vast national park, and gorgeous sunsets. If you are traveling in the south of Vietnam and have no clue about where to go apart from Saigon and the Mekong Delta, here are 10 reasons to check Phu Quoc out right now. Moreover, I also cover some travel tips about this area. So where is Phu Quoc Island? Phu Quoc island is a part of Kien Giang province. It is the largest island of Vietnam, with a total acreage of 574 square kilometers. Besides the charming beaches, this place is also famous for being the largest camp for prisoners of South Vietnam during the Vietnam War. 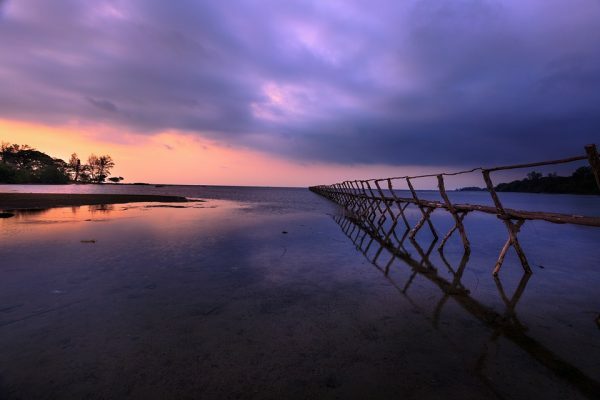 Nowadays, many people come here for a quick escape to the beach town or to get closer to mother nature while trekking or camping in the national park. The dry season starts from October and continues through March. 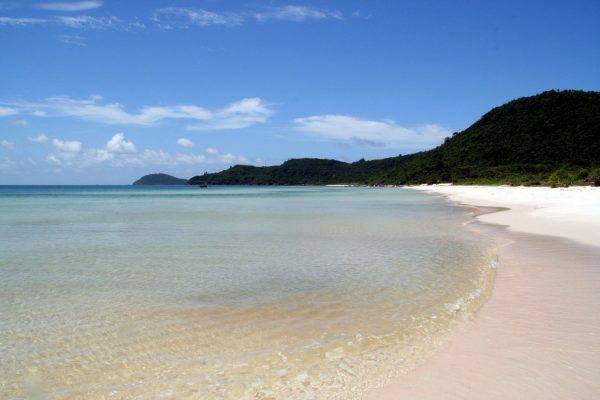 If you want to avoid the rain, you should plan your trip to Phu Quoc between November to March. 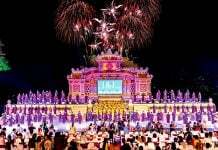 However, as it is also the peak season, everything from air ticket to accommodation and more will be priced up. When October nears its end, the wet season will be almost over too. Rain happens occasionally, the sky is clear, and the ocean is calm again. Therefore you can visit Phu Quoc during this month to avoid the high season. The weather in Phu Quoc is basically hot and humid all year round, especially during April and May, which are the hottest months of the year. It is necessary to bring a hat, sunglasses and summer clothing. During the wet season (April – September), rain happens frequently on the west coast, while the east coast is calmer. Storms are not unheard of either. Big winds and heavy rain often occur in July, August, and September which will cause some disadvantage to your trip. For example, muddy roads make it more slippery to ride a motorbike, and diving and surfing will be a big no-no. However, this time of the year, the services in Phu Quoc become a lot cheaper, which is suitable for those traveling on a low budget. All you need to do is be prepared for it. Don’t forget to carry a poncho, insect repellent, flip-flops, and a waterproof bag for your phone/backpack. By the way, girls, it is a must to use waterproof cosmetics. People usually travel to Phu Quoc via four popular transportation methods: airplane, sleeper bus, motorbike, or hydrofoil. This is the fastest way to go to Phu Quoc from Hanoi, Saigon, or Can Tho. There are three airlines that operate a direct flight from these cities to Phu Quoc. 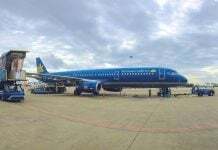 You can choose to fly with Vietnam Airlines, Vietjet Air, or Jetstar Pacific. Depending on your departure location, date, and the airline, a one-way ticket will cost upwards of 700,000 VND (32 USD). Phu Quoc airport is only 10 kilometers away from Duong Dong town (the center). Therefore, you can catch a Mai Linh or SACO taxi to go there after arrival. From Saigon, you can travel for six to seven hours on a sleeper bus to get to Rach Gia or Ha Tien. It will cost you around 150,000 VND (6.8 USD) for a one-way ticket to Rach Gia and 180,000 VND (8.2 USD) for a ticket to Ha Tien. Great news for those who want to experience Vietnam on a motorbike! You can absolutely travel to Phu Quoc on one! From Saigon, you can either choose the route to Ha Tien or Rach Gia, where the hydrofoil station is located. The 302-kilometer route can be broken into a two-day trip. You can take a stop at Can Tho City for one night to go to the floating market in the early morning before continuing the ride to Rach Gia city. Following highway 1A, you will go past Tan An (Long An Province), My Tho City (Tien Giang Province), cross My Thuan bridge (Vinh Long Province), and Sa Dec City (Dong Thap). After taking Vam Cong ferry, which will be replaced by Vam Cong bridge soon, you will arrive in Can Tho city. Finally, follow highway 80 for another 100 kilometers to Rach Gia city. This route is about 310 kilometers long. First, you will need to go to Rach Gia via the route direction above. Then from Rach Gia, continue your trip on highway 80 to Ha Tien Province (90 kilometers further). Superdong is the company that operates hydrofoil service to Phu Quoc from Ha Tien and Rach Gia. Check out their schedule on the website here! So why should you travel to Phu Quoc but not any other places? From charming beaches to amazing seafood and so much more, I have come up with 10 reasons to convince you that this place is definitely worth a visit. The islands are always perfect for a getaway trip for those who want to keep themselves away from the bustling atmosphere of the urban cities of Vietnam. It’s the perfect spot to be lazy, to lie on a beach all day, and sip a fresh coconut from a tree. There will no longer be any stress in your life–push it away, at least for a few days and reward yourself. Go for a dip in the water, and perhaps even do some water sports. Make sure you do not miss the sunrise! Phu Quoc archipelago of 22 small islet and islands, and Phu Quoc (A.K.A the Pearl island) is the biggest one. There are over 10 beaches there, and the Star beach (Bai Sao) and Long Beach (Bai Dai) are the most charming. 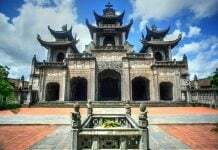 They are popular and thus attract more people so if you are looking for places that have fewer tourists, try May Rut islet, Mui Ong Doi beach, and Ganh Dau beach. When talking about a beach vacation, we can’t forgo talking about water sports! 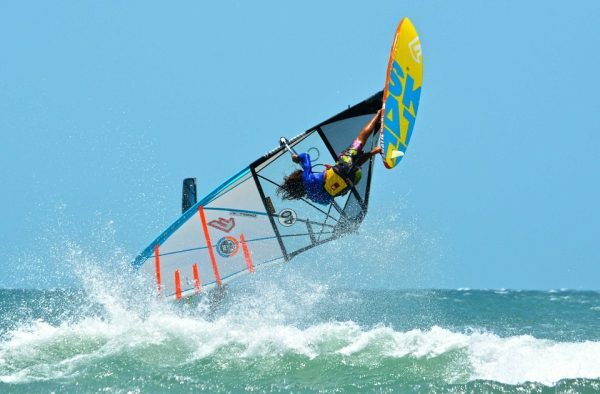 Besides swimming, you can also take part in some fun and exhilarating activities, such as kayaking, kitesurfing, jet skiing on Star beach and Long Beach, or scuba diving and snorkeling at Bai Sao and Bai Dai. On average, the resorts around Star beach offer jet ski and kayak services with price starting from 100,000 VND/hour (4.6 USD). Besides VinPearl Phu Quoc, many resorts on the coast offer water sports as extra services. You can check out Saigon Phu Quoc Resort & Spa, Richis Beach Resort, and Eden Resorts for more information. Looking at the map of Phu Quoc you will see the north of the island is mostly green colored–that is where the national park is located. Phu Quoc National Park is often called the lung of Mekong Delta. Isolated from the busy life of the tourist town of Duong Dong, you will have a peaceful place to free your mind and breathe the fresh air. If you do yoga or meditation, here is where you can really concentrate. How about camping? Are you into spotting cute little monkeys or sharing your food with squirrels? 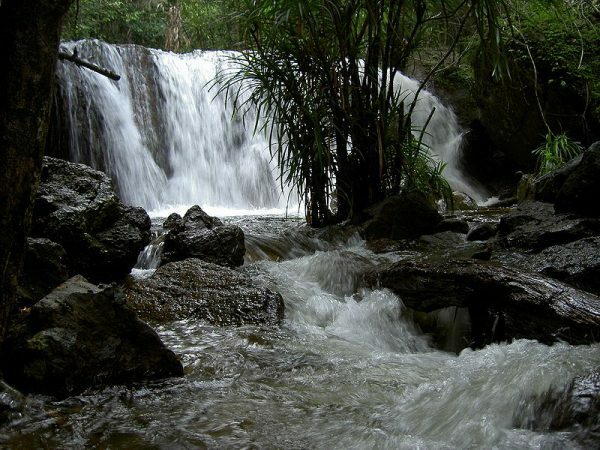 You can also try some hiking in Ham Ninh Mountain and spot some wild animals. Trying to drive in urban cities like Ho Chi Minh and Hanoi is a big no-no, even if you have prior experience back home. In Phu Quoc, it is a lot more empty so you can give it a try if you wish! Make sure you take all safety precautions. But if that’s not your thing, then get an experienced driver to drive you around. If you are already a good driver, try to level up your skill by taking the trail that goes through the forest that connects Ham Ninh and Bai Thom. It’s going to be a fun adventure with dusty roads and makeshift bridges over burbling streams. Very adventurous for sure. This 30-kilometer route is a little bit tricky to drive, even for locals. However, after conquering it, you will feel like selling your car back home to buy a proper motorcycle. In 1950, the French colonists built a prison on Phu Quoc island and called it Coconut Prison (Trai giam Cay Dua). The intention was to hold French dissenters. In 1955, Ngo Dinh Diem, the president of Vietnam Public extended the prison land and used it to keep Vietnamese revolutionaries. Phu Quoc then became the biggest jail of the Vietnam Public. Many troops have fought and died there. Nowadays, it has become a museum, where visitors can gaze at artifacts and mannequins depicting scenes from the old prison. It will be a sobering experience. If island hopping is something you enjoy, well, I guess someone just hit the jackpot! As I mentioned above, Phu Quoc has many satellite islets/small islands around it. There are four that stand out. You can go diving to see coral at Mong Tay island, capture the photo of a lifetime on May Rut island, relax at Dam Island, or spend a do-nothing-day on Xuong island. Have you ever wanted to swim in a sea of glowing stars? It’s time to make your dream come true in Phu Quoc as there are plenty of bioluminescent plankton in the waters. 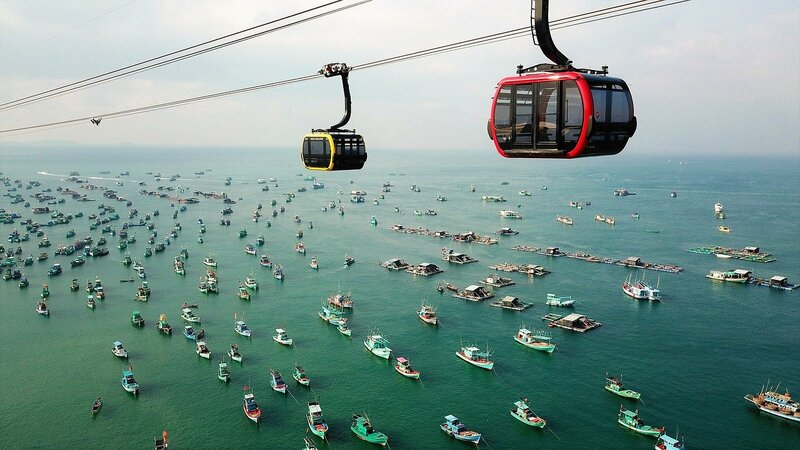 This is a popular sight in the Gulf of Thailand. However, this amazing phenomenon only appears during a few months of the year. It was spotted several times in Ong Lang (close to Mango Bay Resort), and Thom island. Keep your fingers crossed! 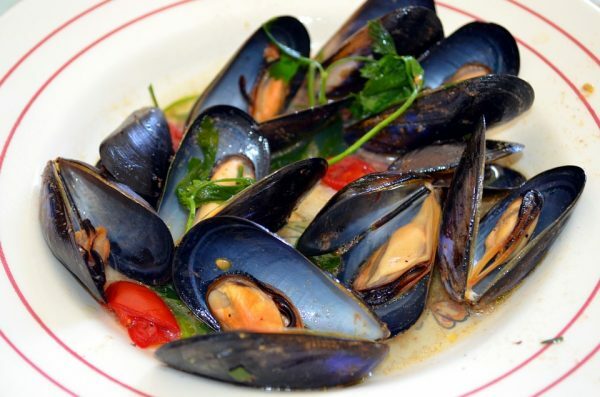 Eating as much seafood as you can is how to make the most of any vacation. When it comes to food, Phu Quoc has many gifts to offer visitors. Seafood in Phu Quoc is fresh and cheap. There you can find dishes made of echinus (grilled or freshly served with lemon are the best), king crab, herring salad, abalone, squids, shrimps, etc., Feast like a king while drinking Phu Quoc’s specialty, apricot wine, and it will make you feel like you’re up in cloud nine! Of course, that just means you’re tipsy. Every beach will have its own wet market, where fisherman brings their products to trade after coming back to the coast. Seafood is always cheap and fresh. Therefore, you should try to get up early and go to Duong Dong market to hunt for your favorite sea snails. I remember when I first came to Phu Quoc 10 years ago, it didn’t have many choices for accommodation. 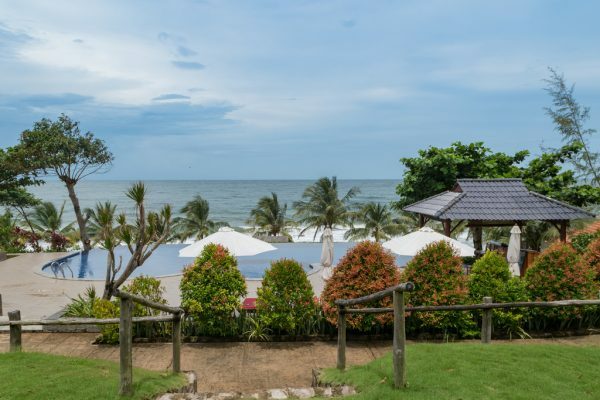 Nevertheless, in recent years, many people were invested in building fancy resorts in Phu Quoc and now you can experience world-class hospitality here. Even though the price to stay for a night in Phu Quoc is expensive, the service, the view, and space makes every penny count! Another big bonus for Phu Quoc: You don’t need a visa! This rule applies to both direct and transit flights. Check out this link for more information. And this good news is also a wrap for this huge article about Phu Quoc. I hope you would have a good time exploring the pearl island of Vietnam. If you enjoyed reading this article and would like some more fun info about what to see, do, and eat (and a bunch of interesting cafes!) in Vietnam, follow us at The Christina’s Blog! Phat Diem Cathedral: What Does a Cornerstone Site of the 20th Century Tell Us? Hi Eleanor, After reading your article, I’m keen to visit Phu Quoc. Visiting the island in August appears not to be the best thing to do because of the heaviest rainfalls of the year fall during this month. I’m wondering what would be a typical day on Phu Quoc in August. Does the rain last for long or part of the day? Is it still possible to enjoy outdoor activities? Is snorkeling impossible to to do at this time of the year or moving around because of the wet muddy roads? In recent years the rainy season isn’t like it used to be due to climate change but I’m not sure how rainfall would impact a visit to Phu Qoc. Appreciate your feedbacks and insights.